Light pollution is a global isuue that is easily forgotten. As a side effect of industrialization — and its excessive use of artificial light at night — it wipes out the last dark and mysterious places on earth as well as the opportunity to see a natural star-filled sky at night. Eighty percent of the world’s population lives under skyglow. In the United States and Europe, ninety-nine percent of the public is not able to experience a natural night! The visuals of this project are based on the Bortle-Scale, a nine-level numeric scale that measures the night sky‘s brightness of a particular location (from class 1 — the darkest skies available on Earth, to class 9 — inner-city skies). It quantifies the astronomical observability of celestial objects and the interference caused by light pollution. 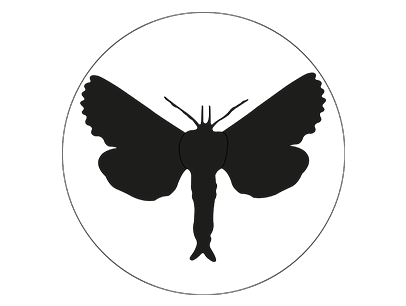 The moth acts as an index for light, and symbolizes the negative influence of light pollution on the ecosystem. The project shows specific places, that illustrate the extent of the nocturnal illumination and its tragic beauty. Luise is a 23 years old communication designer from Germany, currently finishing her studies of Visual Communication at the Academy of Art & Design, Basel. The focus of her work is on typography, photography and conception.